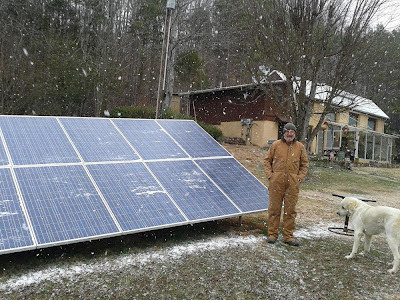 Doug Kalmer who has contributed a number of projects to Build-It-Solar has completed his new 4600 watt PV system and documented all the deign and construction detail. The PV array is grid-tied and uses the Enphase micro-inverters with one micro-inverter per PV module. Each micro-inverter runs its PV module at its maximum power point, and converts the DC from the PV module into grid compatible 240 VAC. These micro-inverter systems are well suited to DIY installations, and are also easy to expand over time. The homemade mount system that Doug used is very simple, very durable, and saves a lot of money over commercial mounts -- well worth looking at if you have a welder. The cost of the system worked out to about $2.50 a peak watt before rebates and incentives -- this is well under half the $6.80 US average that Solar Today reported a couple of months ago for commercially installed grid-tie PV systems over the US. So, there is a very significant saving here for doing the work yourself. production, and the PV array AC disconnect in the middle. 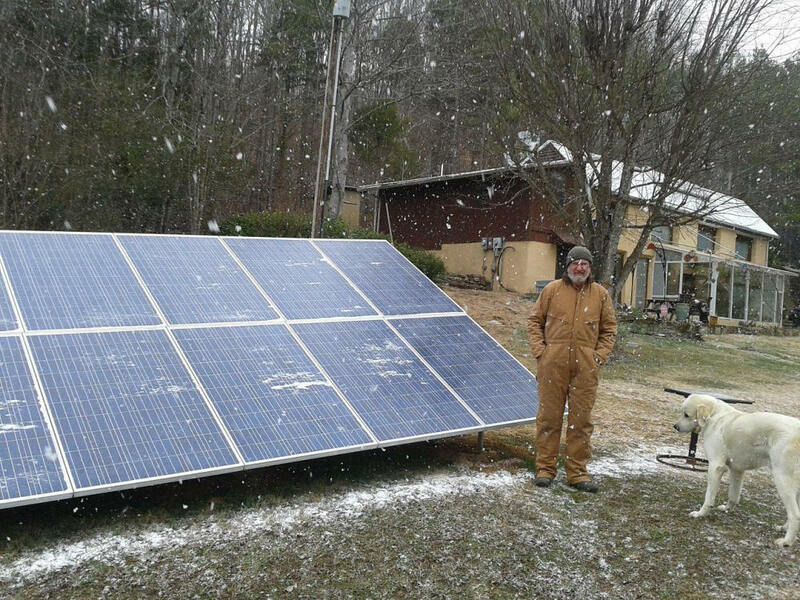 Doug's power is provided by the TVA, and they have a nice program that pays a $1000 incentive when the system is first installed, and also pay $0.12 per KWH over the base rate for 10 years. Pretty nice. Thanks very much to Doug for sending in all the details! Unfortunately for Massachusetts residents, solar systems have to be installed by an approved installer to be eligible for the Commonwealth Solar Rebate. Although at these prices, the savings may outweigh the rebate. Food for thought. Thanx Gary!